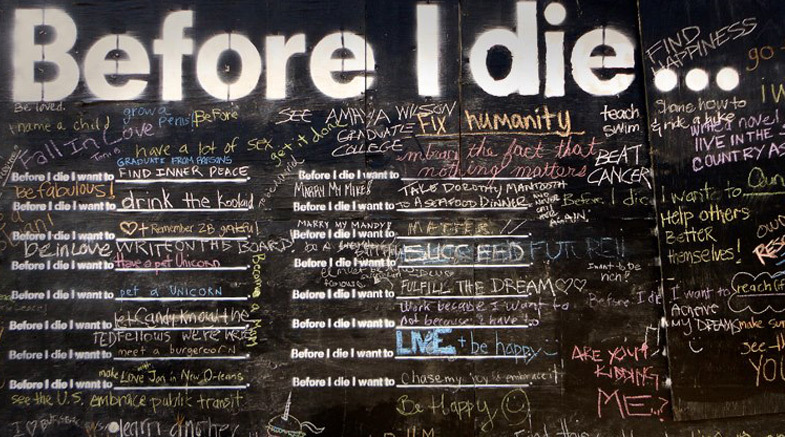 Before I Die is a community art project on a global scale, initiated by Candy Chang, a Taiwanese American artist, with a background in architecture, urban planning and graphic design. After the loss of a loved one in 2011, Candy, was looking for a way to capture life’s bigger picture and meaning, and began work on Before I Die as an experimental project. She painted a side of a decrepit house in post-Katrina New Orleans in chalkboard paint and stencilled a grid of incomplete sentences, “Before I die I want to_____”, on the wall. 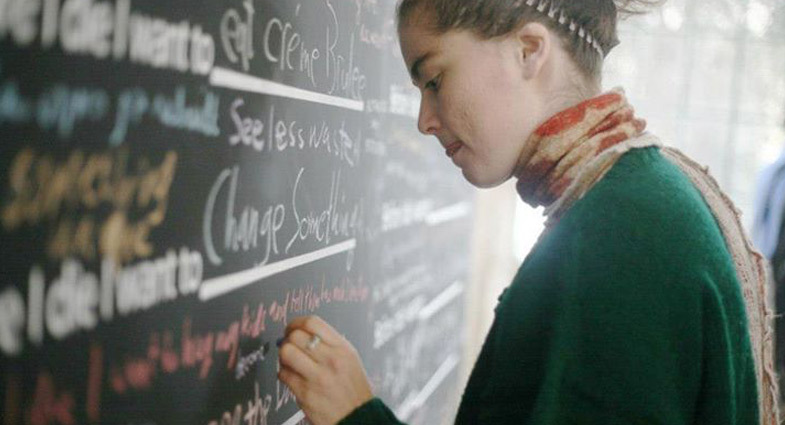 The incomplete sentence prompted passers-by to reflect on their lives and complete the statement in chalk that was left there. By the next day, not only were the eighty sentences filled in with anonymous aspirations, the responses spilled over into the margins of the wall. After uploading some of the photos of the wall, Candy received hundreds of messages from people who wanted to make a similar wall within their community. What started as an experiment with one wall, began to grow across borders, cultures and languages. Candy created a website with resources on how to create and maintain the wall and currently there are over 500 Before I Die walls in over 35 languages and over 75 countries. You can visit the website for more walls, tools, and resources and follow the project on Facebook or Twitter. Images from Before I Die.